The era of cracked screens may be coming to an end sooner than we think. With this tech you will no longer worry about breaks and cracks when you mistakenly drop your smartphones at any time. This amazing tech developed by a German engineering student by named Philip Frenzel may have the solution to save everyone some time, money, and unneeded stress. 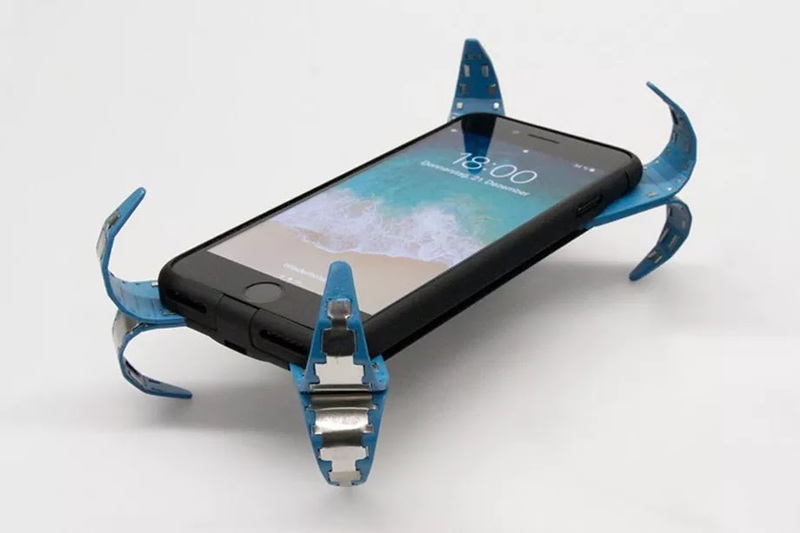 Spotted by DesignBoom, Frenzel has created the mobile airbag, a case that senses when your phone is in free fall and releases metal prongs to protect it from damage. Recently A student at Aalen University in Germany, Frenzel won an award from the German Mechatronics Society with the mobile airbag, and expects to launch the device on Kickstarter next month along with Peter Mayer, another student at the university. With the adoption of this tech there’s no doubt it could help save people hundreds of dollars they would otherwise end up spending on phone repairs or new devices. The era of cracked screens may be coming to an end sooner than we think.